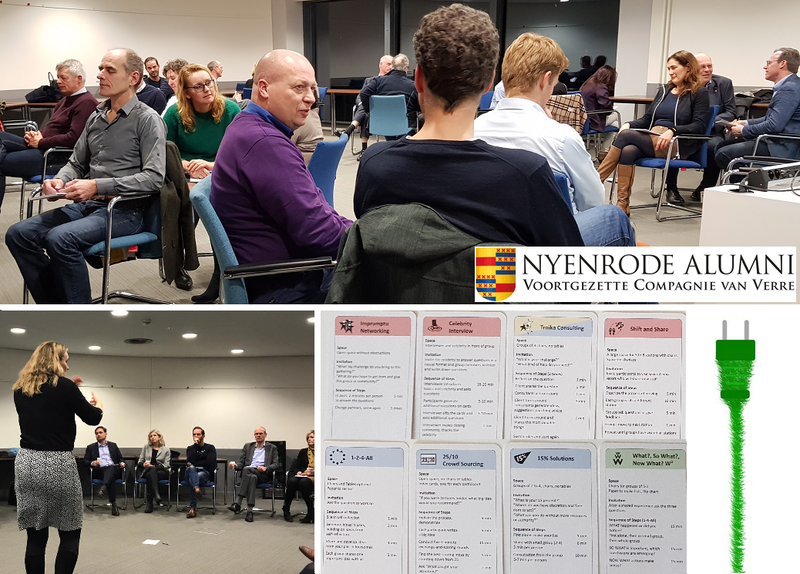 Some snapshots of the workshop I provided yesterday at Nyenrode Alumni in Breukelen. We practiced eight Liberating Structures with 26 interim managers. The topic was “How to find ways to live a greener life”. But of course was experimenting with Liberating structures the main goal of this session. I was happy again with the power of “25/10” to list the best 10 ideas. To prevent having too many identical ideas I tweaked the “1-2-4-all” a little and asked every group of four to each select a unique idea and write it on a card. It worked! Only one idea appeared twice in the top 10 :-). About 90 % of the attendees reflected (“What, so What, now What”) they would try a Liberating structure in their own project or on their team this week.